It's not Wednesday, but it's time to put on your business socks so we can get down to business time. Ooo! I've been a Flight of the Conchords fan for a long time now. Jemaine is such a babely babe man. Mmm-mmm. Anyway, Julie wanted to do something different this spring and made a great FotC inspired collection of one coat cremes that work for stamping and water marbling. Get ready for Foux du Fafa! Each polish name will link to the inspiration. Get ready to laugh! This collection was great. One coat for each polish is pretty fantastic. These are thick enough for one coat application and stamping, but thin enough to water marble easily. I really wanted to do some nail art of this post, but time got away from me. Plus I've been feeling somewhat uninspired because of some personal issues right now. Definitely check out some of the others who reviewed the set! Julie will have links in her shop. 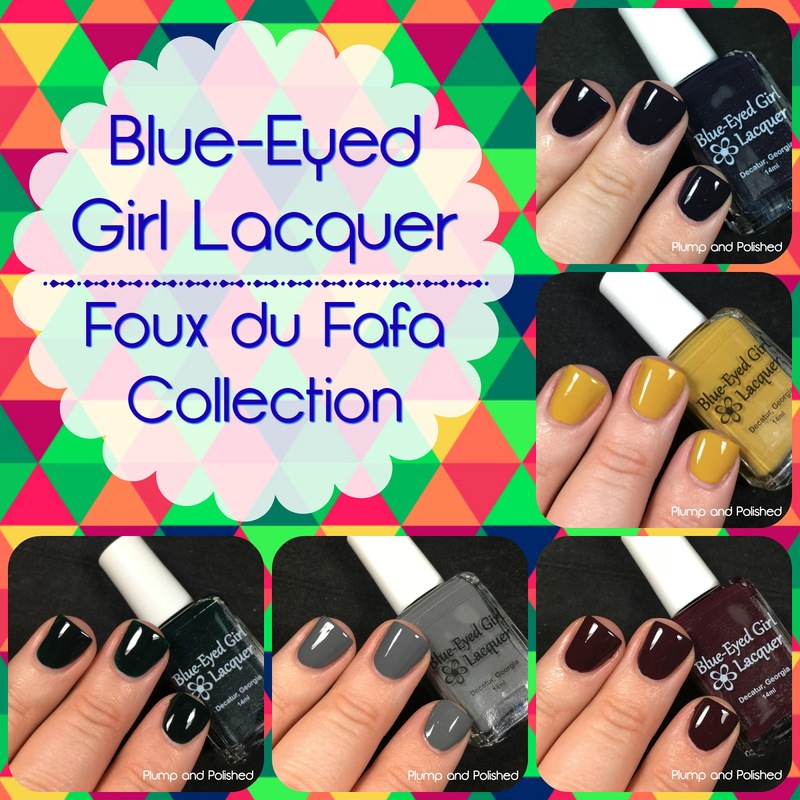 The Foux du Fafa Collection is set for pre-order April 27 at 3:30 pm est through April 30 at 12 am est. Full size bottles will be $8.50 or $42.50 for all five plus shipping. Mini bottles will be $5 or $25 for all five plus shipping.